consideration – may it be for home days or when I am out and about. 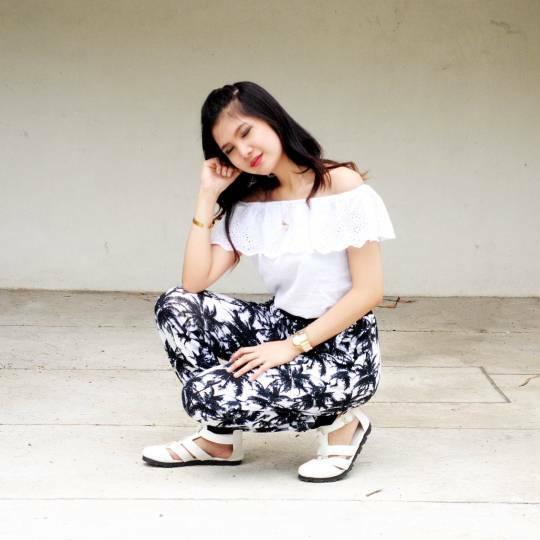 So basically I aim for comfort first, but without the need to sacrifice style. 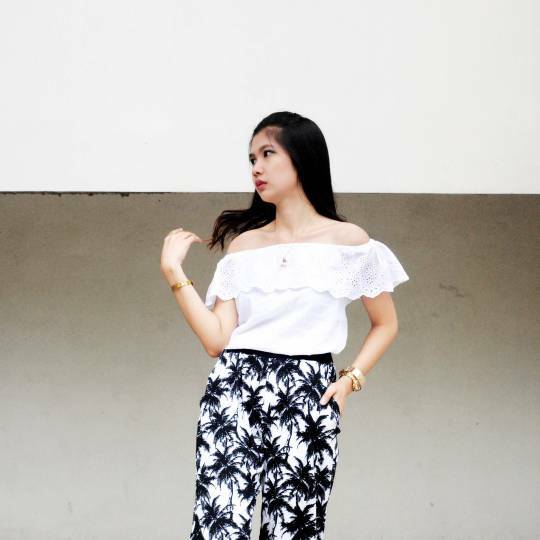 Here’s my idea of comfy yet kind of dressy at the same time. 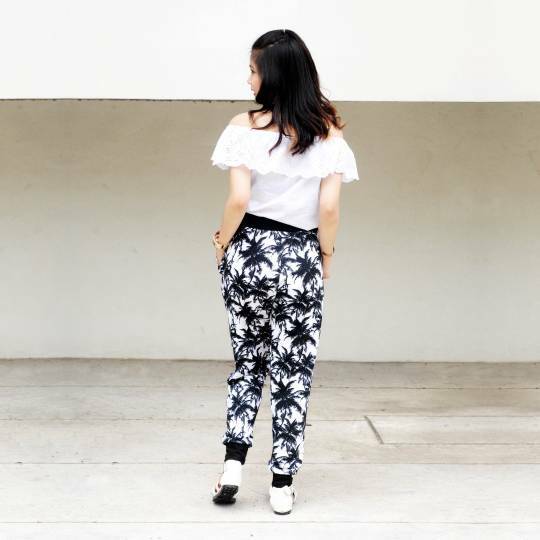 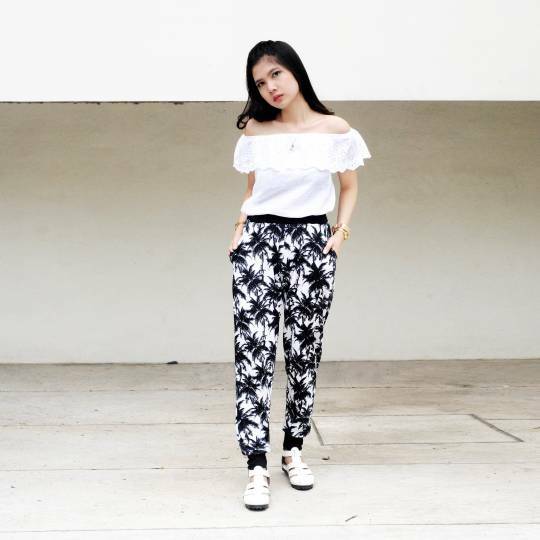 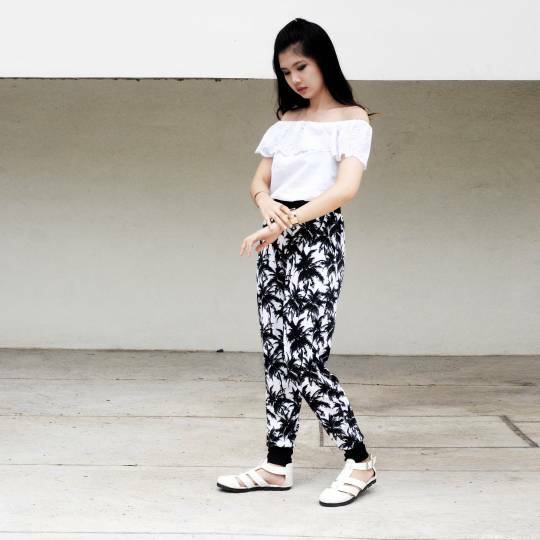 I paired my off shoulders top from thefashionbuddy101 with ripplesbyjenny’s palm print jogger pants and huemanila’s shoes.